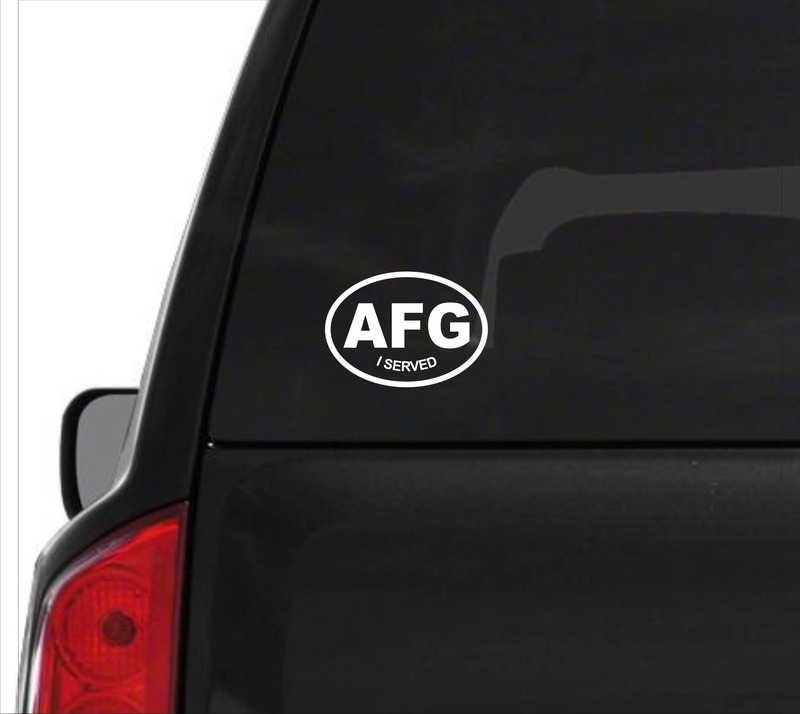 Afghanistan- I Served vinyl decal: Be proud of what you have done for this great Country! We love our Veterans! 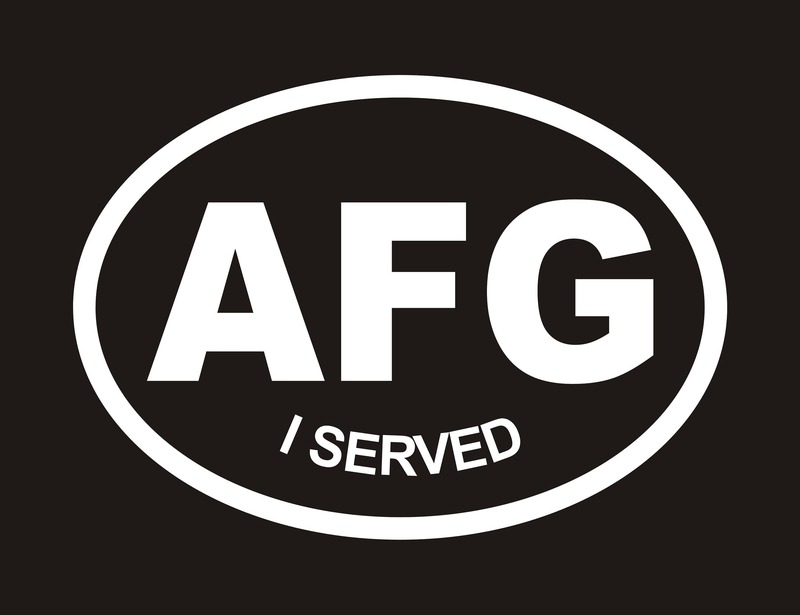 Show where you served! 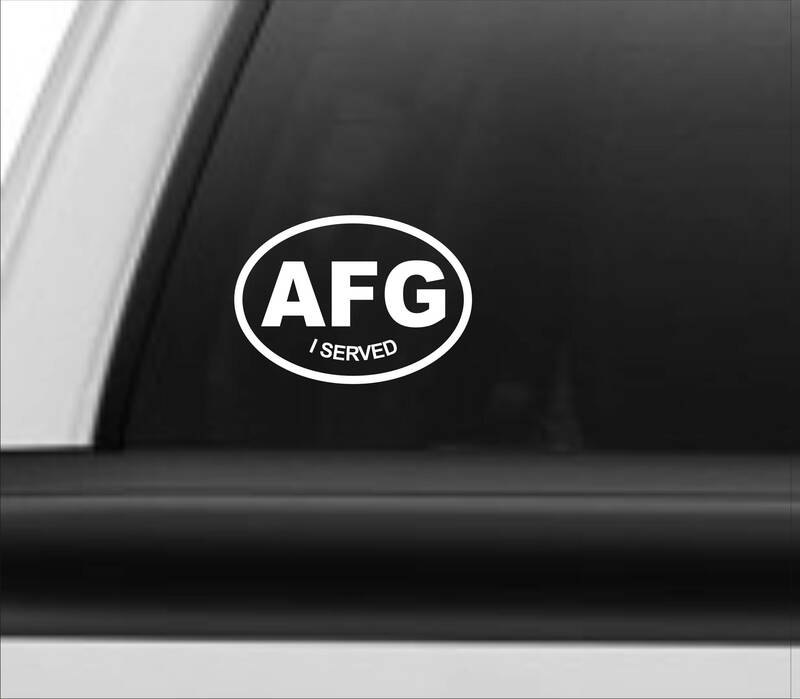 This AFG decal is made from high-quality outdoor vinyl. Easy to apply. All orders will receive application instructions. 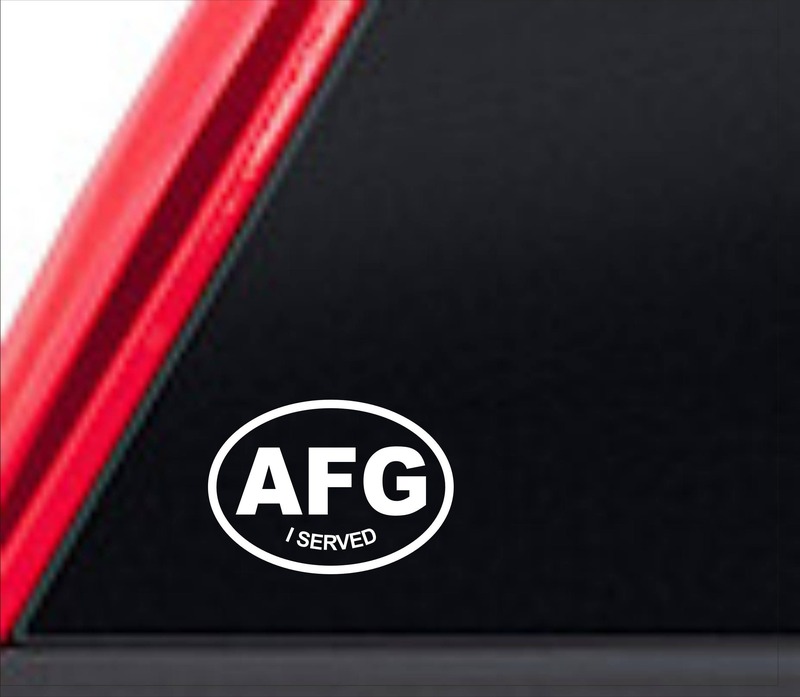 Long lasting, waterproof and weather resistant. Approx size: 3.5" x 5.5"